What started off with just a small piece of ice falling off the Perito Moreno Glacier, was soon followed by the entire ice bridge collapsing on itself. This spectacular display of nature was seen by a crowd of almost 4000 as reported by local media on Thursday morning, it is the largest collapse since 2012. The Perito Moreno Glacier is located in Los Glaciares National Park in the Santa Cruz Province of Argentina. 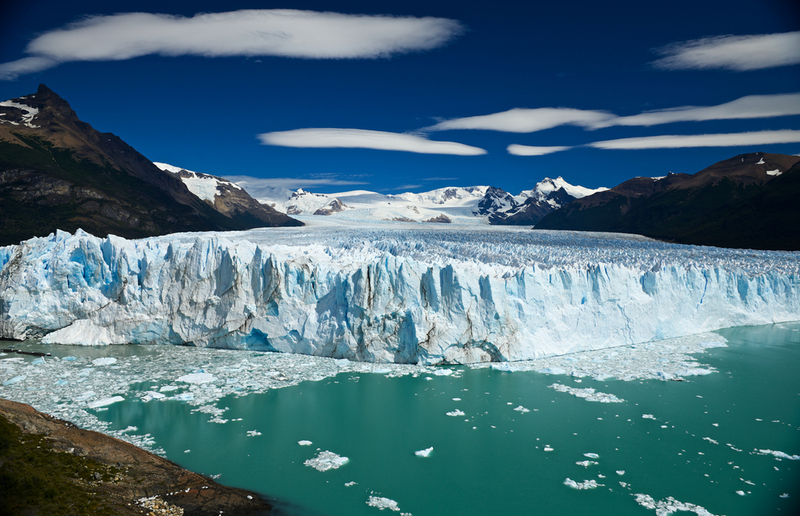 After the two poles, the Perito Moreno Glacier has the third largest reserve of fresh water in the world. This UNESCO World Heritage site is also one of the most visited tourist attractions in Argentina and is only a short drive from the town of El Calafate. Why does the ice break off? According to glaciologists this natural phenomenon is created by pressure from the weight of the ice in the glacier, which causes the glacier to push forward. As the glacier moves forward it cuts off the river feeding into Lago Argentino (Lake). This build up of water pressure forms a tunnel, crippling the glacier above and causing the ice to collapse. Compared to other glaciers in both Chilean and Argentinian regions of Patagonia, the amount of ice lost from Perito Moreno Glacier is still minimal. Visit us at Chimu Adventures for more information on trips to Patagonia.